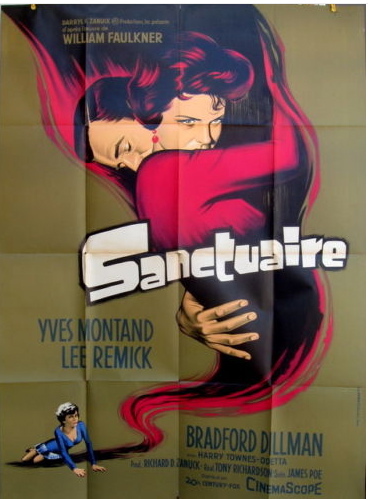 William Faulkner was a Nobel Prize-winning Southern writer who wrote movies purely for the money — and it showed as Hollywood bastardized most of the film adaptations of his literary masterpieces. 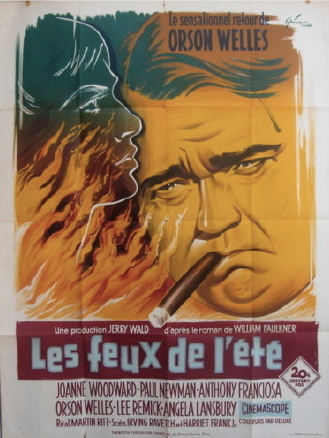 But at least a few of the French movie poster artists got it right, including Boris Grinsson, who did the artwork on The Sound and The Fury below. 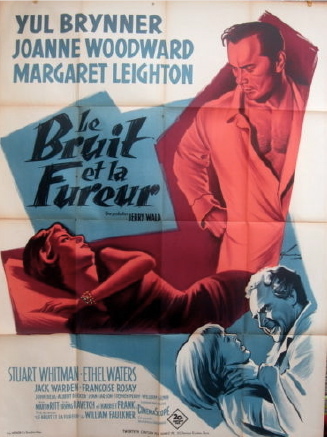 This entry was posted in 1950s posters, 1960s posters, French movie posters and tagged boris grinsson, film adaptations, French movie posters, orson welles, paul newman, sanctuary, the long hot summer, the sound and the fury, william faulkner by russ. Bookmark the permalink.